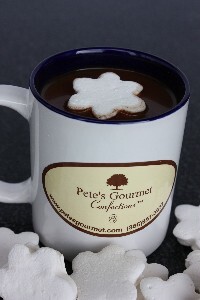 Floatems; a snowflake shaped, soft fluffy natural vanilla flavored Royal treat, to crown your hot cocoa and coffee. We use real vanilla, no artificial flavoring or preservatives. But dont think you will have to wait for that coffee break, Floatems are so delicious, you will want to just pop them in their mouth. 27 pcs of heaven. Creamy white chocolate and peppermint marshmallows blended together in a one-of-a kind winter confection. Each unique snowflake is topped with a dusting of gourmet peppermint crumbles. 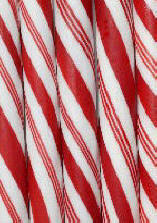 Peppermint rods dipped in semi sweet chocolate for the most refreshing mint cocoa experience. Catch a snowflake on your tongue...Pete captures the sweet nostalgia of childhood in these one of a kind winter treats. Two peppermint marshmallow snowflakes dipped in luscious semi sweet dark chocolate and sprinkled with a light dusting of peppermint stick. 2 pieces make the perfect seasonal chocolate gift for two. 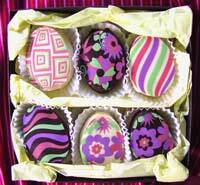 Gourmet chocolate marshmallow Easter eggs. Beautiful swirl, floral and geometric patterns decorate white and dark chocolate covering an oh so soft vanilla marshmallow center. 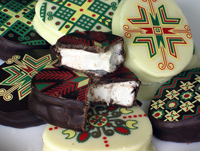 Our traditional chocolate marshmallow Holiday eggs, featuring naturally flavored marshmallows dipped in white and dark chocolates and decorated in an assortment of ornamental patterns. These symbols of nature are traditional Ukrainian designs representing family happiness, peace and love. No Easter basket is complete without these gourmet goodies. Vanilla gourmet marshmallow Bunnies dipped in dark chocolate and decorated with an elegant golden bunny design. 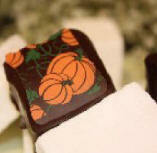 Show up to your next holiday gathering with something everyone will want and enjoy... our Pumpkin Cr�me Mallows™! A delicate blend of pumpkin and spice flavors drenched in dark and creamy "orange" white chocolate, Packaged in a Pete's Gourmet signature box. Using the finest natural ingredients, Pete has done it again with our Ribbon Mallows. Presenting his exclusive Peppermint and Vanilla marshmallows dipped in our premium dark chocolate and white chocolates! Packaged in a Pete's Gourmet signature box. Sixteen pieces.